My traffic was pretty much on par with last month. There were a few less views and a few more visitors, but that’s all likely due to the three less days we had in February. At the end of the day, though, I’m really happy with the numbers. Now, I just have to work on increasing them, however possible. Money Order Prices and Locations – This post has been my most popular post since the middle of last year, which is crazy because it’s going on a year old. You can find an updated version of that post here. Load Serve With a Debit Card or Credit Card – This method of loading Serve is an easy $1,000 – $3,000 (depending on your version of Serve) of extra manufactured spending each month. If you’re not already taking advantage of this deal, you should! You can find out which “debit cards” count as debit cards and earn points/miles here. Oink Card: The Good, the Bad, the Ugly – This card isn’t that great for manufactured spending, but at least you can get a $20 bonus for signing up. Get $20 with the Oink Card – This is the only real good use for this card, but don’t get to excited, because it really only works out to a $10 bonus. Send Money From Serve to Your Bank – This isn’t my favorite method of liquidating Serve, but it is possible. It’s much easier and faster to simply bill pay your credit cards from Serve. My blog income this month was very lackluster on the front end (the stuff I can report) and mediocre on the back-end (the stuff I can’t report). That being said, it took care of my hosting costs which is all that really matters. So, thank you all for visiting my blog, signing up for credit cards, and using my affiliate links! This month, I decided to change how I report my income. That’s primarily because I keep track of my incomes from this blog different than I report them. I pay for my hosting costs on a yearly basis, so I just prorated the yearly costs to report them every month. In addition to that, my affiliate income and ad income is deposited on a 1-3 months basis, depending on my earnings. Because of that, I decided I will only write my income as I receive it. For example, I reported that I received a $100+ Media.net check this month, but really it was for payments from the past three months. This way of reporting will be a bit easier to see just how much I make and payout throughout the year. 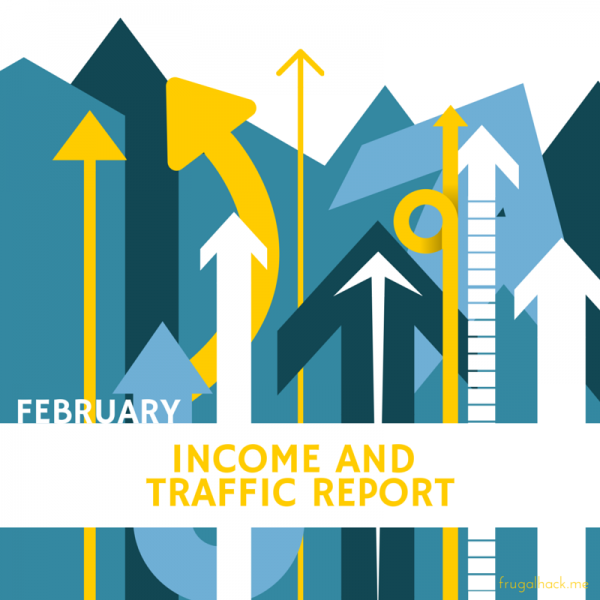 To conclude this income and traffic report, I just want to say thank you to you all. Without you guys, I wouldn’t have a reason to blog and I definitely wouldn’t earn any income from this deal. I know I basically say this on every report, but it’s 100% true. This blog is for you guys, so if you ever have any suggestions, criticisms, or other remarks, please contact me. Have an awesome weekend everyone!